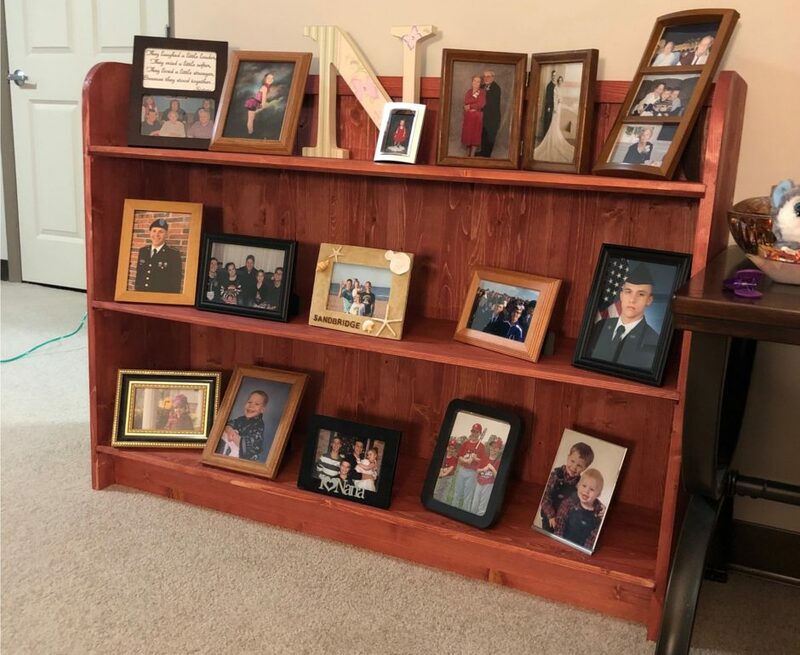 During a recent move, a bookcase was terminally damaged. Now, this wasn’t the fault of the movers. They did a good job trying to prevent a particle board disaster, but Walmart’s special couldn’t survive the move. As a result, a number of photographs lost their display home. The way to solve this wasn’t a trip to the store for more particleboard destined to collapse. 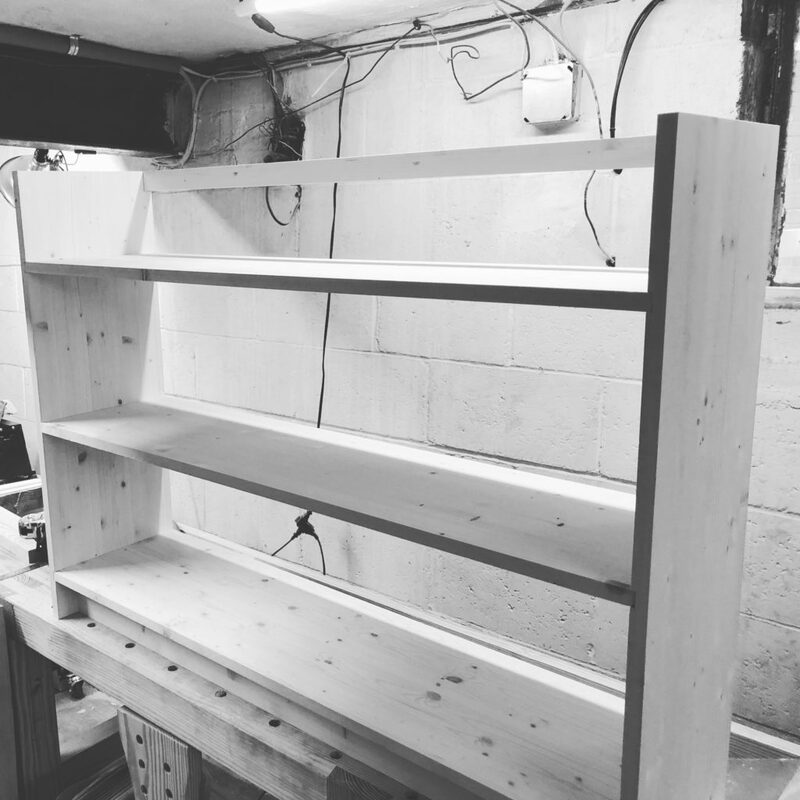 Instead, I took the opportunity to pick up some lumber and have a go at the boarded bookcase from Christopher Schwarz’ The Anarchist’s Design Book. The construction of the bookcase is pretty straight forward, just some dados with glue and nails. The back of the case, rather than eighth inch thick paperboard, is 1/2 thick shiplapped boards that I had initially cut as 3/4 tongue and groove. A recessed kick is added to the bottom with a cross support on top. This case resists racking, supports significant weight, and will never disintegrate like pieces of particle board. Mid-Construction dry-fit. You can see that the radius hasn’t been cut on the sides yet. The back boards were initially milled and cut as 3/4 inch tongue and groove with a 1/8 bead. 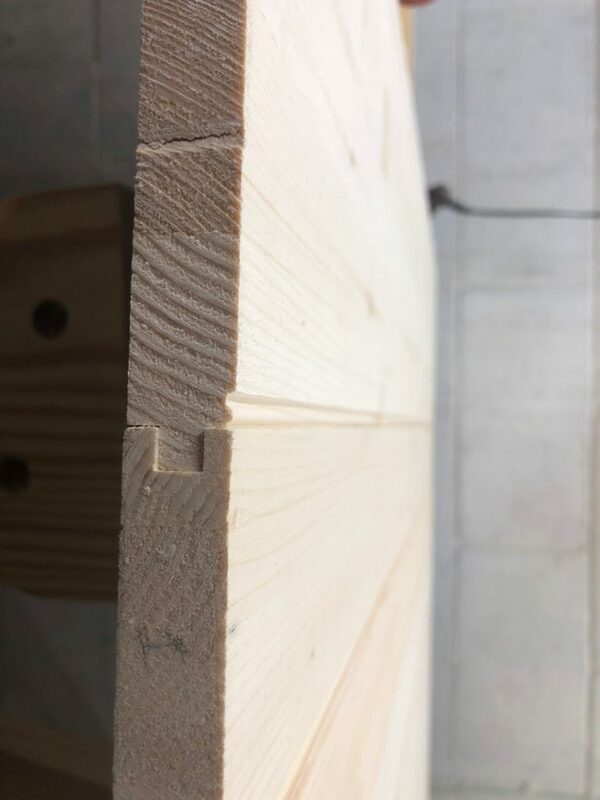 However, I wanted to keep the weight down, so I milled 1/4 off the back of each board, resulting in 1/2 inch shiplap.